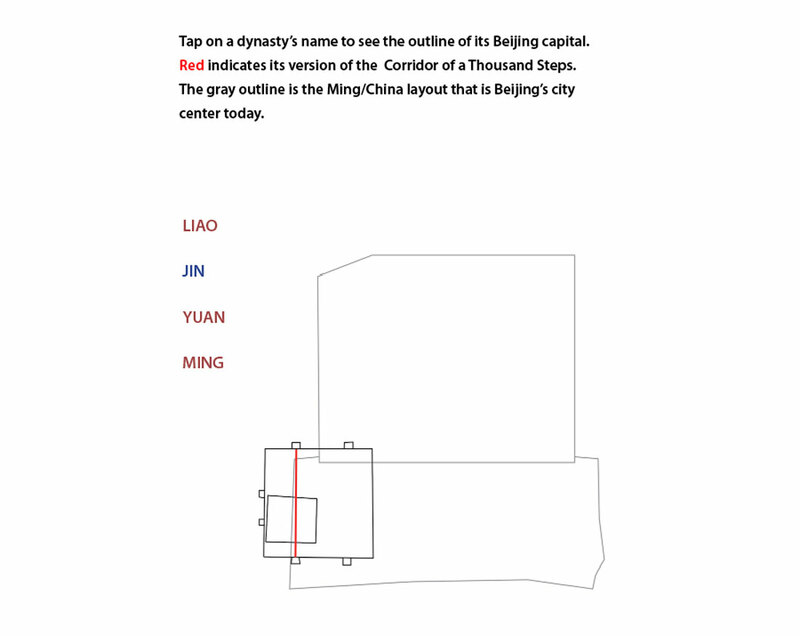 This infographic for an ebook, created by Rouviere Media, shows the outlines of various Chinese dynasties' capitals in Beijing. This screenshot of it does not include the interactivity. Other infographics in the same book depict the history of Chinese capital building.